Need to Propose to Seven Men What to Do! is a completed novel written by Long Qi (Imperial Seventh) and consists of 171 chapters total. What the hell is this system on the bracelet? And what the hell is this either propose to seven men, or suffer the taste of a tragic death experience under the hands of these seven people? Chapter 2 — The hierarchy is a bit of a mess, theoretically speaking, I should be your father. Chapter 3 — He raised this child with so much effort, to end him with his own hands after, how is that enjoyable? Chapter 4 — But Chu Mu Yun fell down all of a sudden, his whole body was spiritless. Chapter 9 — if Uncle Yan Chen was the one who saved me, how great would that have been! Chapter 11 — There was not a single hint of immaturity nor tenderness, he was completely a mature man who had passed a thousand sailing boats with a gully in his heart. Chapter 16 — I just miss your body. Didn’t we have a good time together four years ago? Chapter 18 — Such sincere feelings, such passionate love, such a cute child. If I can’t have it, then I must destroy it! Chapter 20 — Mo Jiu Shao couldn’t stand it, he couldn’t hold back his natural instincts. Chapter 22 — He had spent ten years imprinting the culprit who murdered his parents in his heart. Chapter 23 — One of the seven lords of the demon realm: Ling Xuan, bearer of ‘Wrath’. 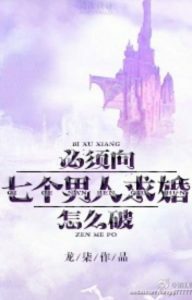 Chapter 24 — Mo Jiu Shao……If there is an afterlife, I only wish that we will never meet again. Chapter 25 — With the wrathful lord, the word ‘arrogance’ is not an adjective, but rather a verb. Chapter 29 — One of the seven lords of the demon realm: Jun Mo, bearer of malignant ‘Sloth’. Chapter 32 — He had already died, why has your love for him still not been severed? AHHHHH I love this so much, thank you for translating!!!! This was my first novel, and I’m still coming back for every update, keep up with the good work!!!! But also make sure to eat properly and take breaks whenever you feel tired haha, translating can be quite touch :> Thanks again!! Wahh I don’t know how to reply without it sounding weird but, I’m glad it could be your first?! I’m sorry for the occasionally wonky update schedule, I’ll take care of myself, thank you! May I ask if I could translate this novel from your English version to Thai in free web? I really like this naughty devilish MC and his world class acting and want more fans for this novel. I will make sure to drop the link to this page,if allowed.But if you feel uncomfortable please feel free to tell me, I’m okay with being just another reader too. Anyway, thanks for translating this novel. I really appreciate it. I wanted to know if you had dropped this novel because its been a while since its been updated. I really love this BL. kk lol thanks for answering me back. I look forward to your next update! Have you guys dropped this BL because a new chapter hasn’t been published since December of 2018. I really love this and I would hate it if it was dropped.